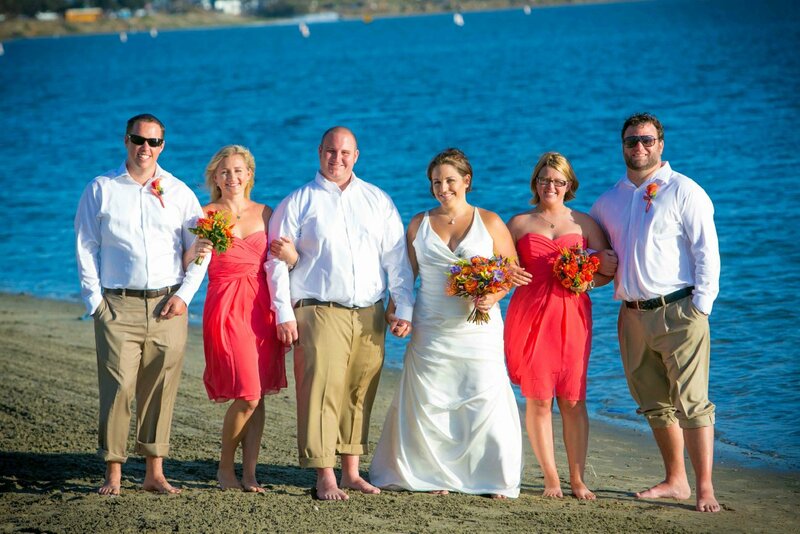 I can't emphasize enough how important it is for the bridal party to get ready at a great location. 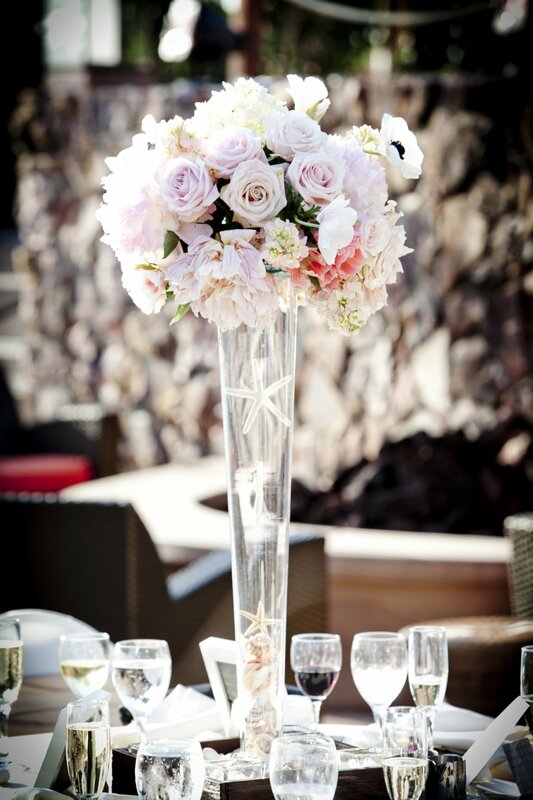 Not only is it key to have a room that photographs well but also unique scenery around the rest venue. 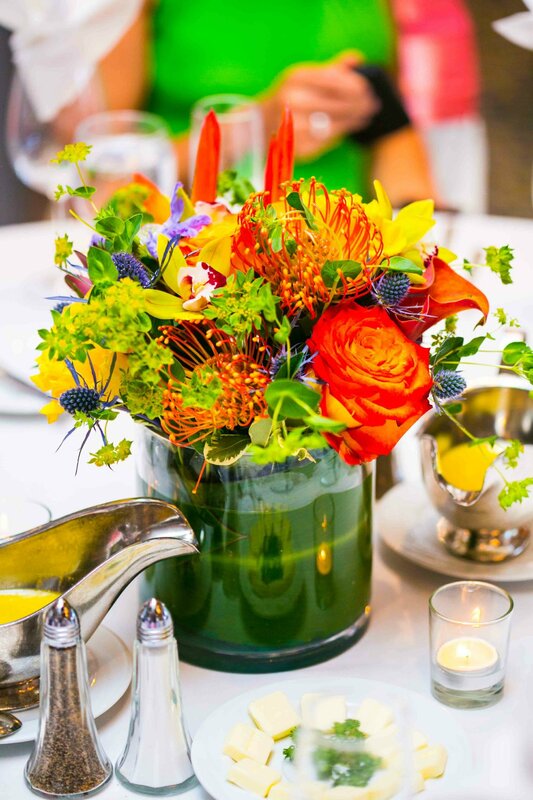 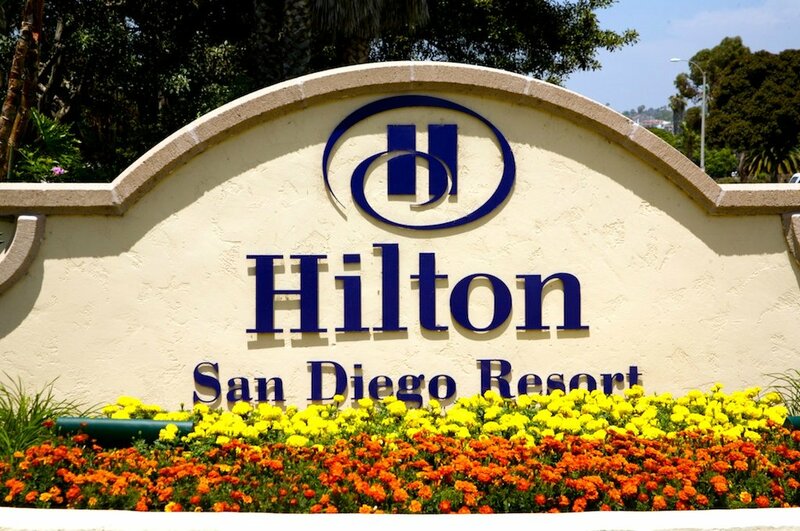 This combination can definitely be found at the Hilton San Diego Resort & Spa. 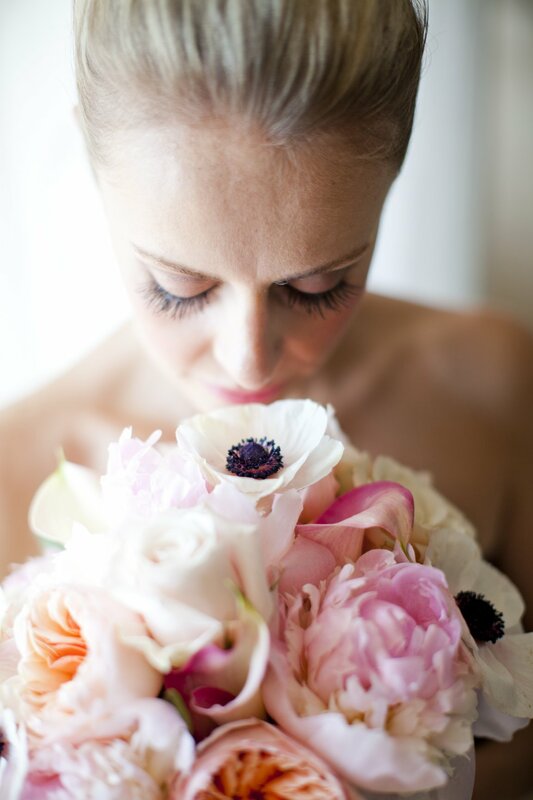 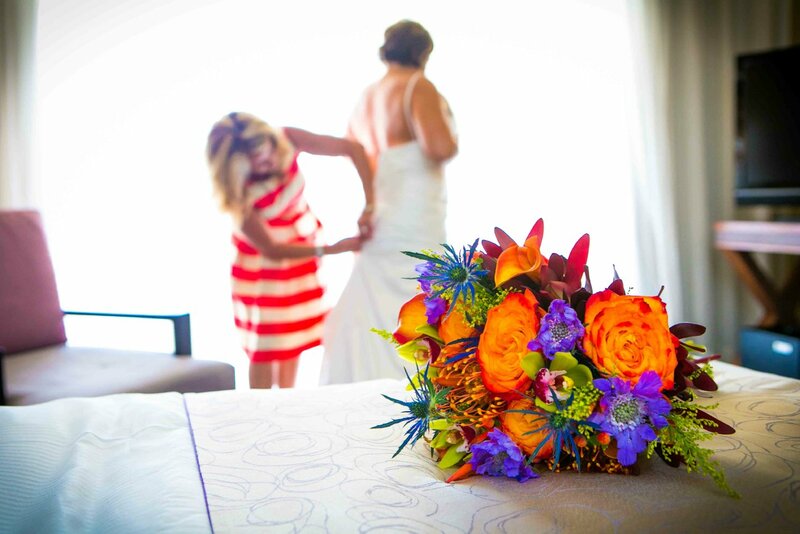 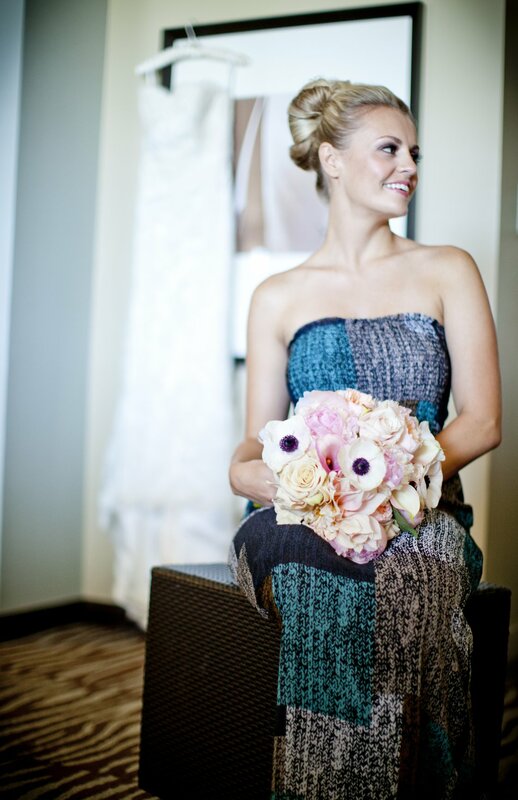 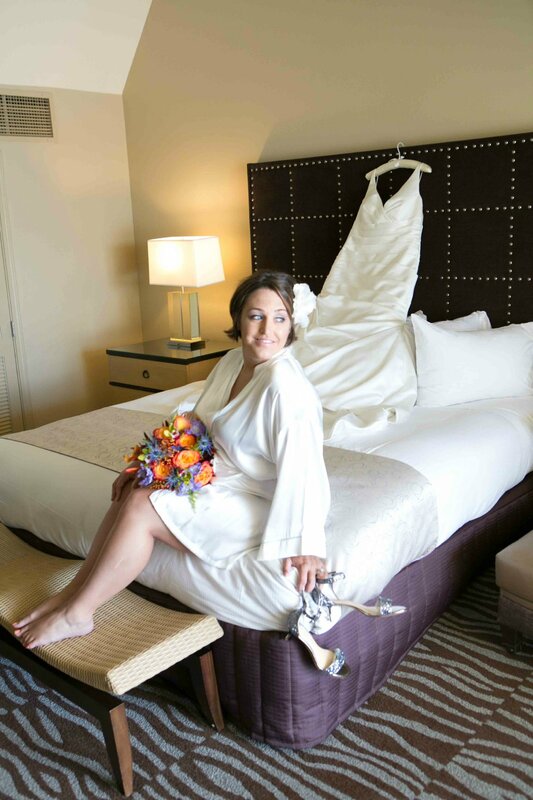 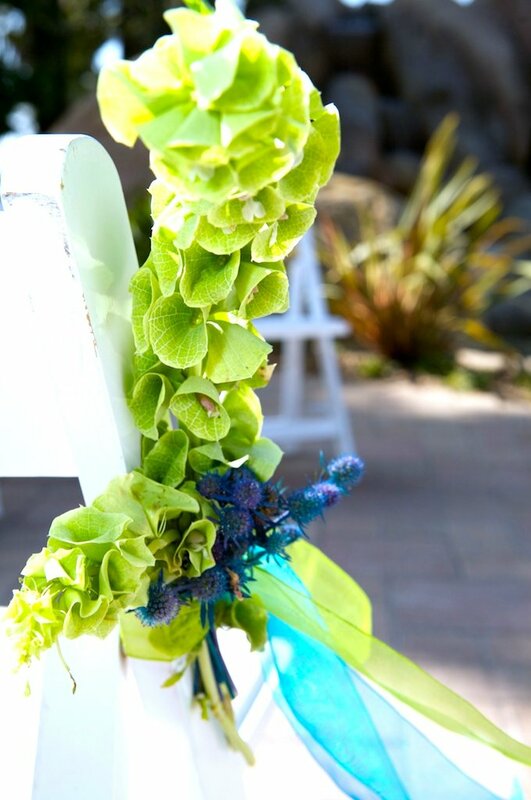 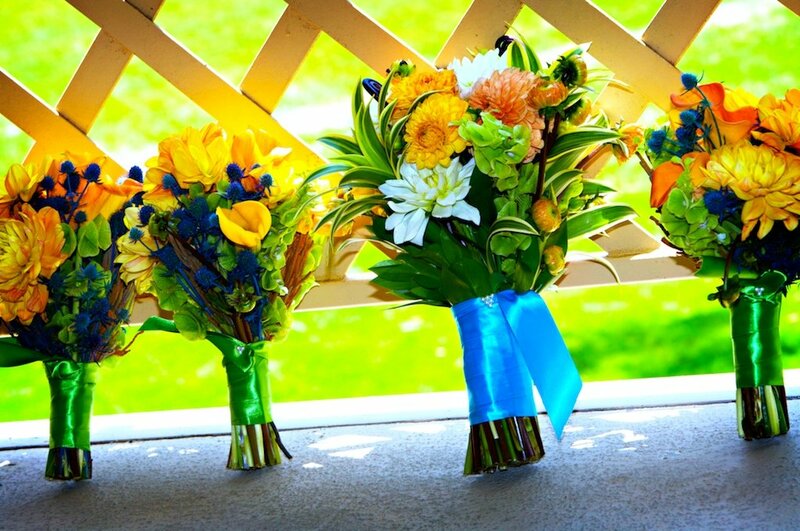 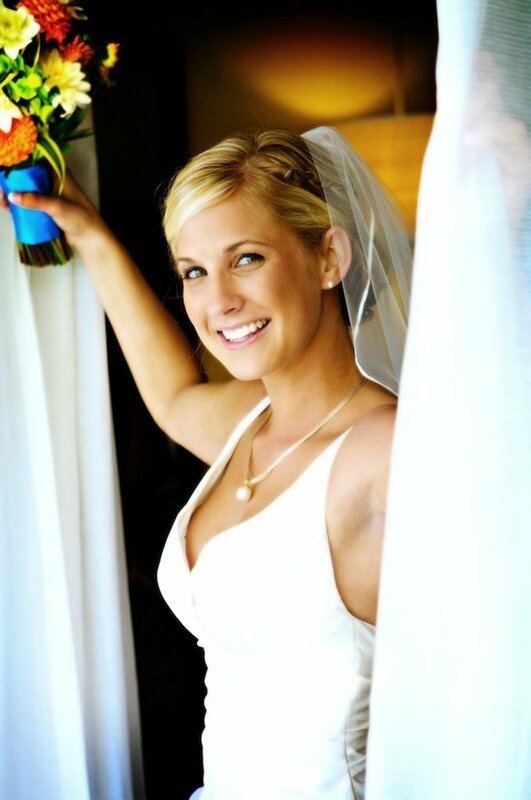 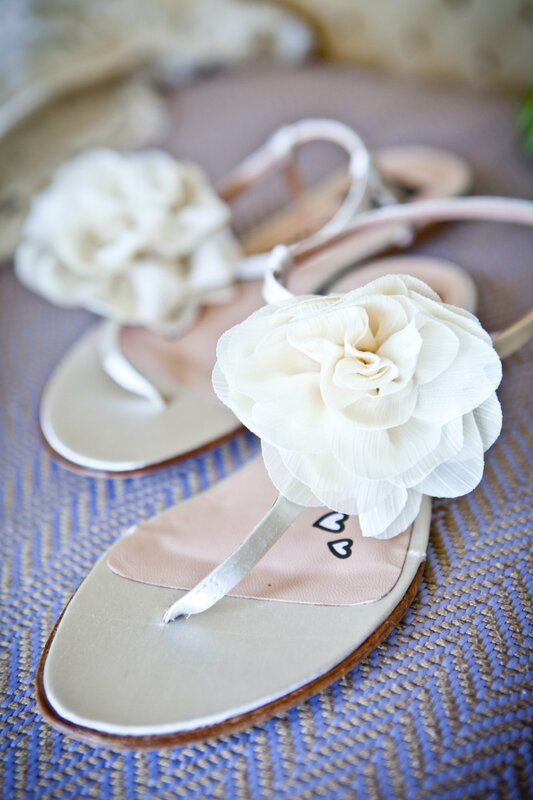 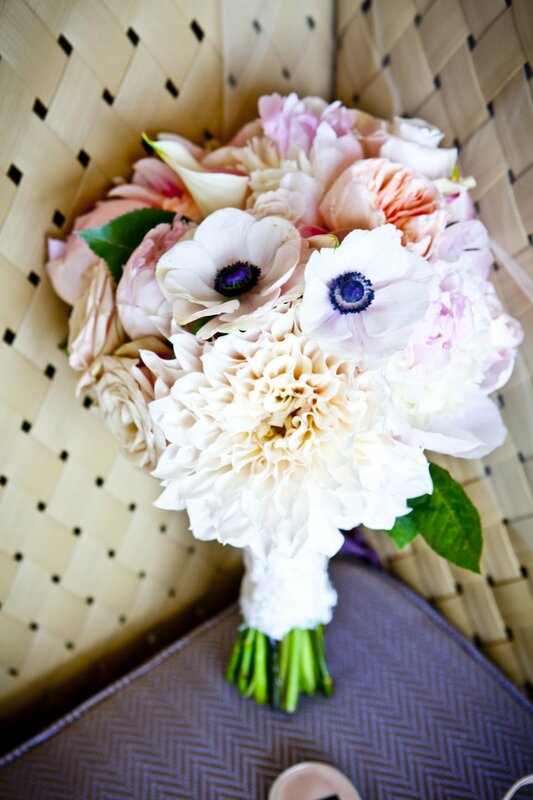 The prep time is a great opportunity to get detail shots of the bride's bouquet, shoes and accessories. 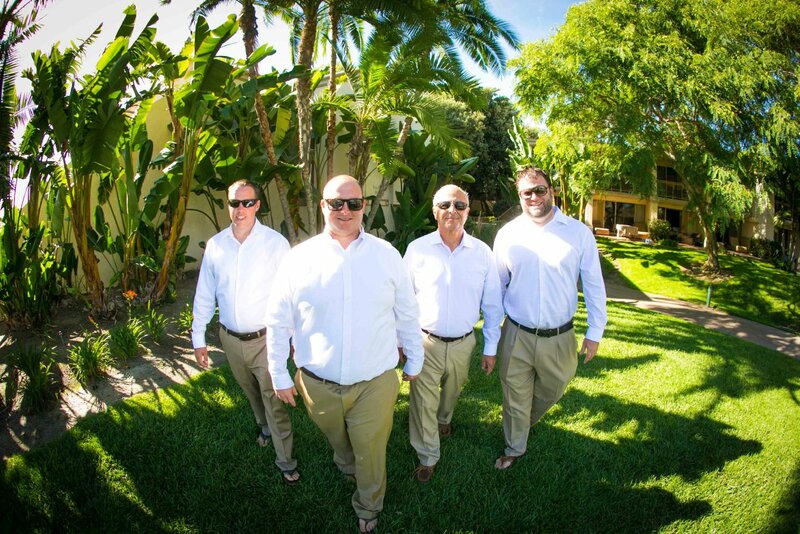 After I catch the bride, groom and their bridal party getting ready, it's time for a stroll around the property for some group photos. 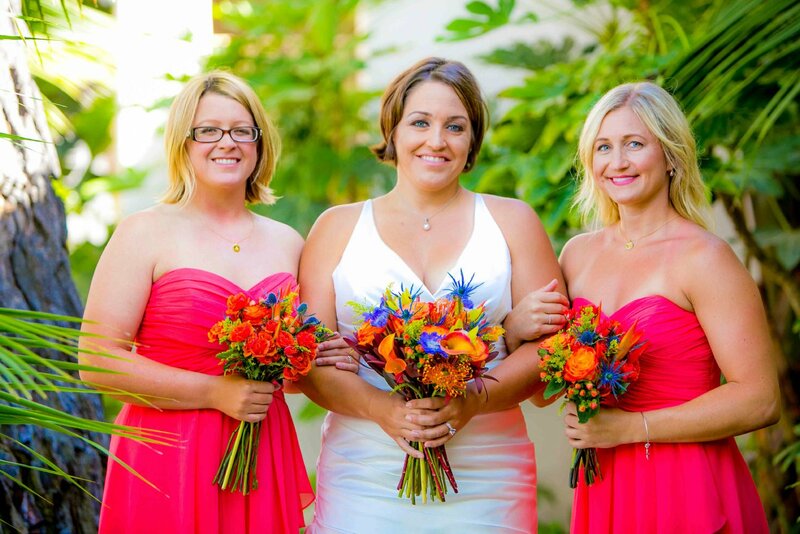 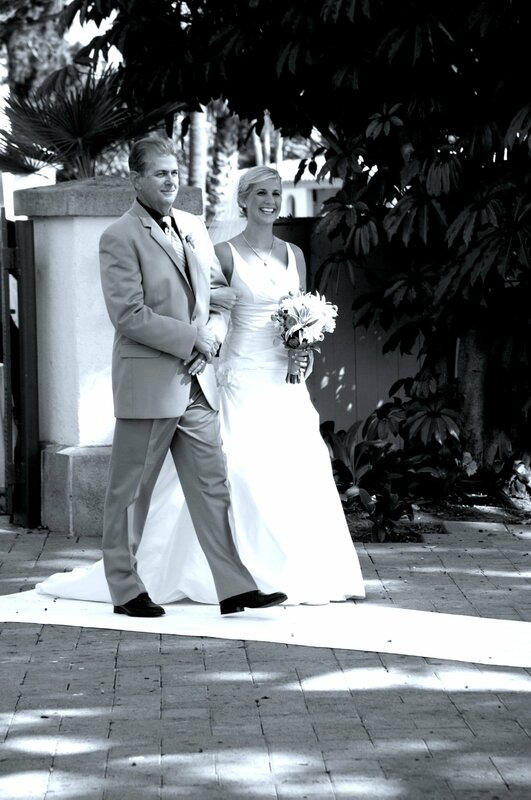 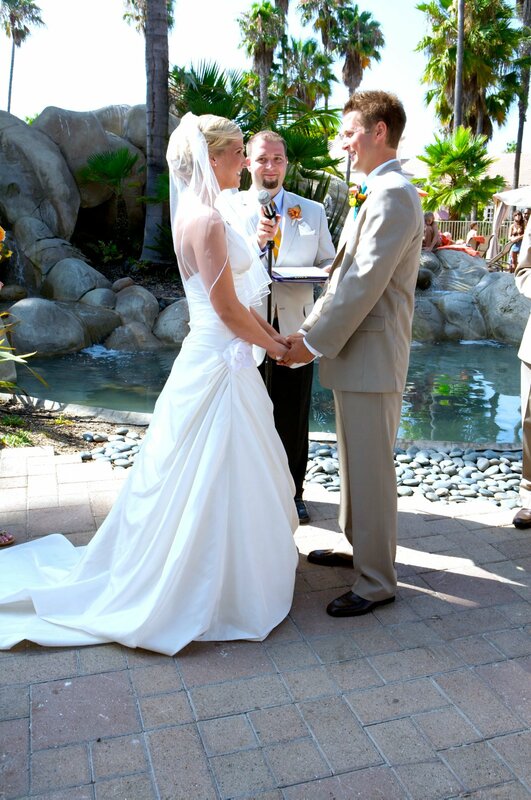 I have photographed wedding ceremonies at two different locations at this Hilton. 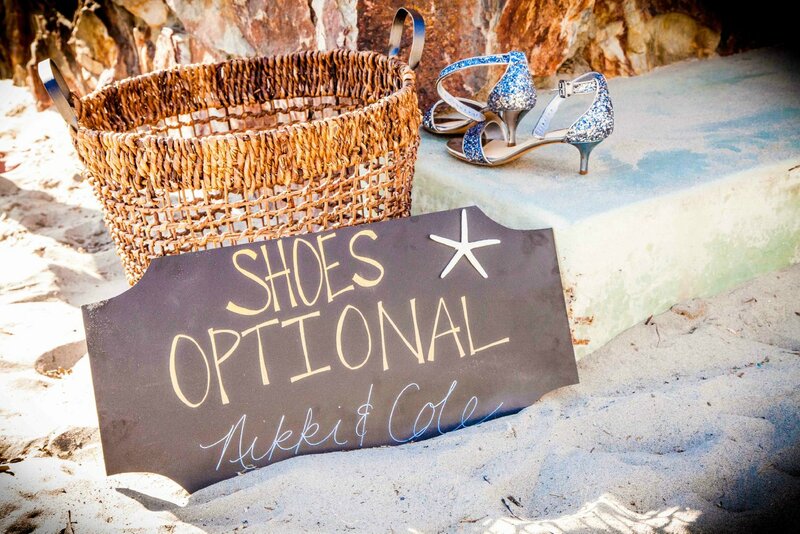 First, are two beach weddings. 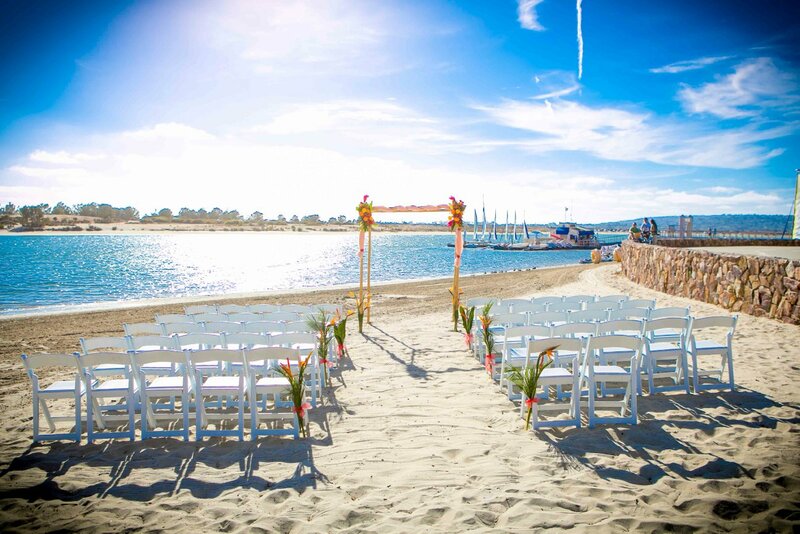 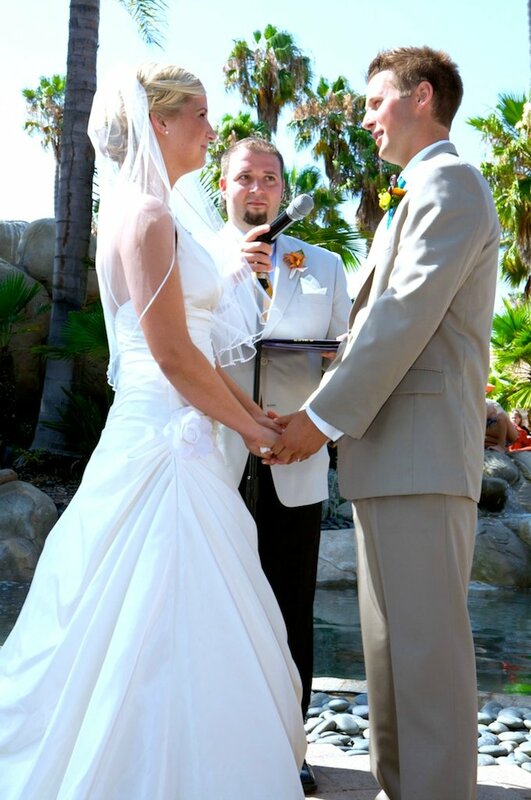 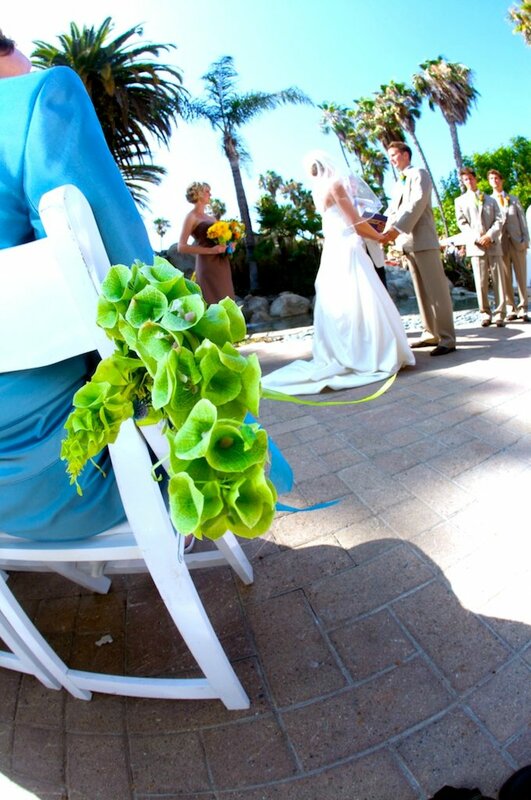 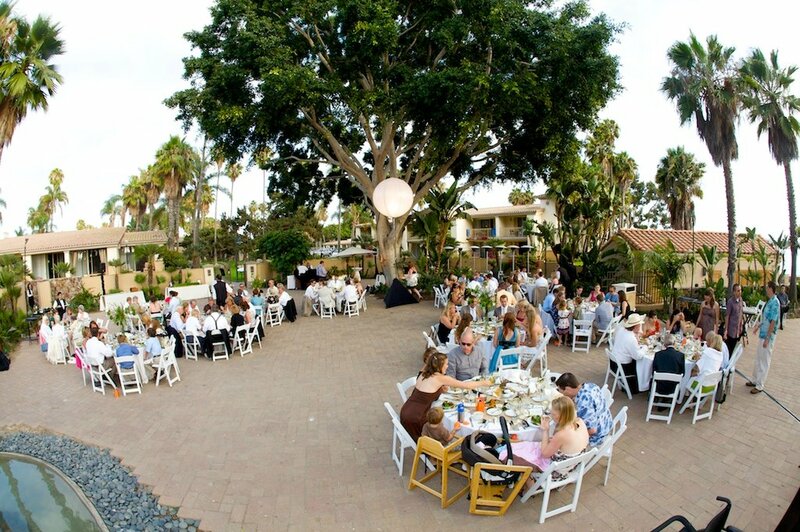 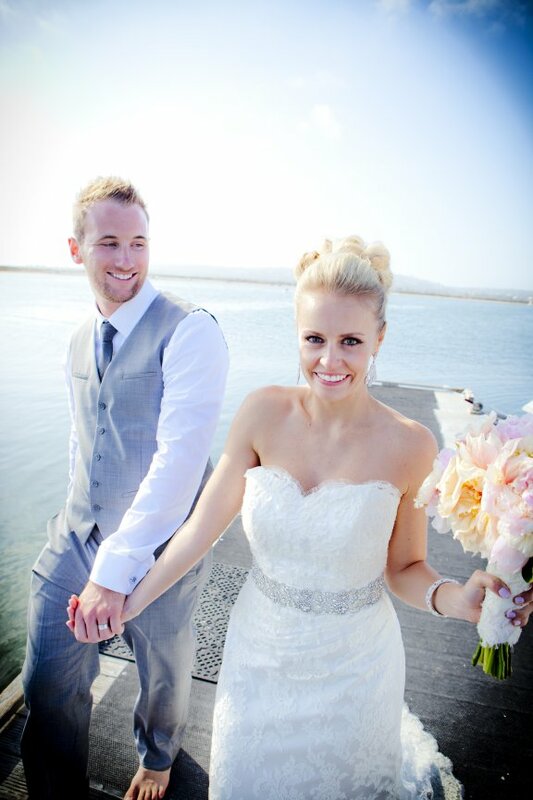 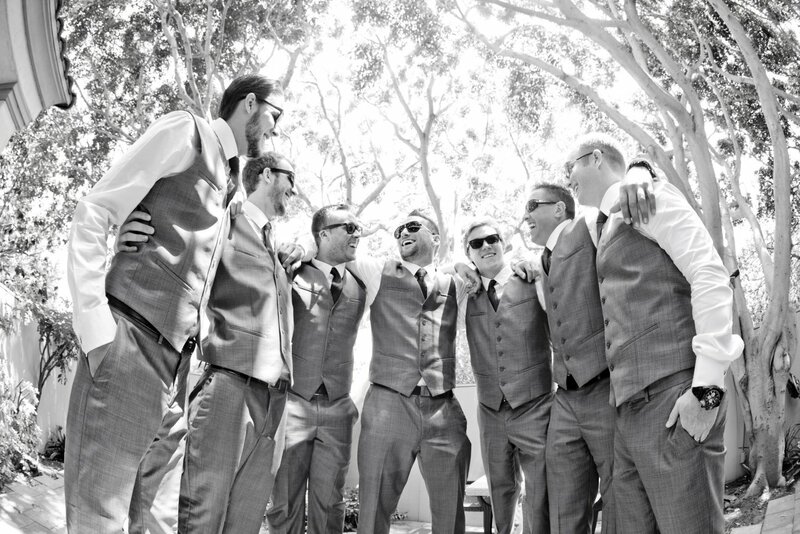 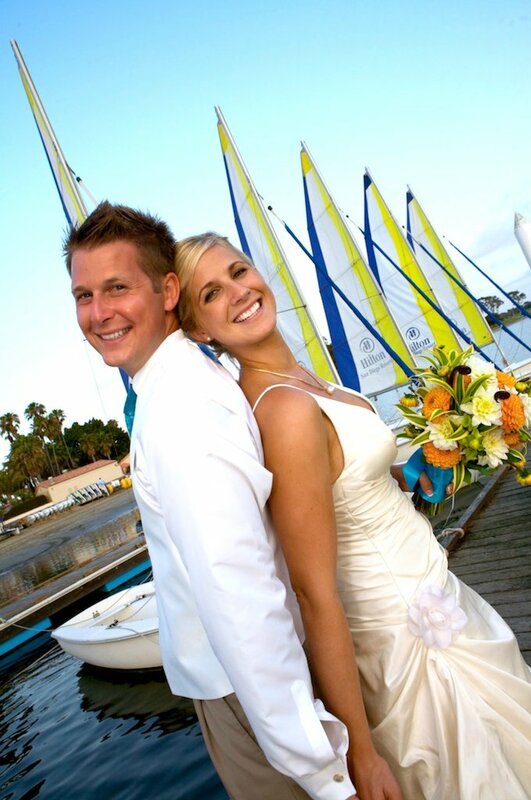 In San Diego, beach weddings are very popular, as you can imagine, and this is a really great spot, right on the water. 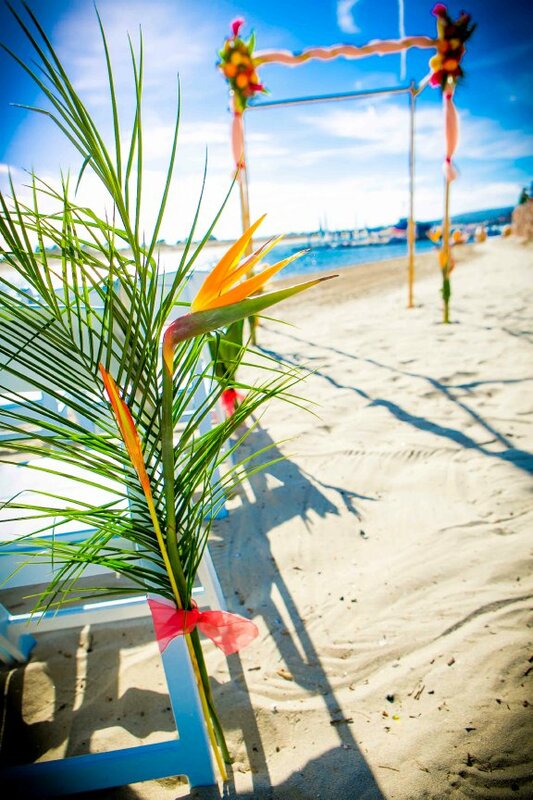 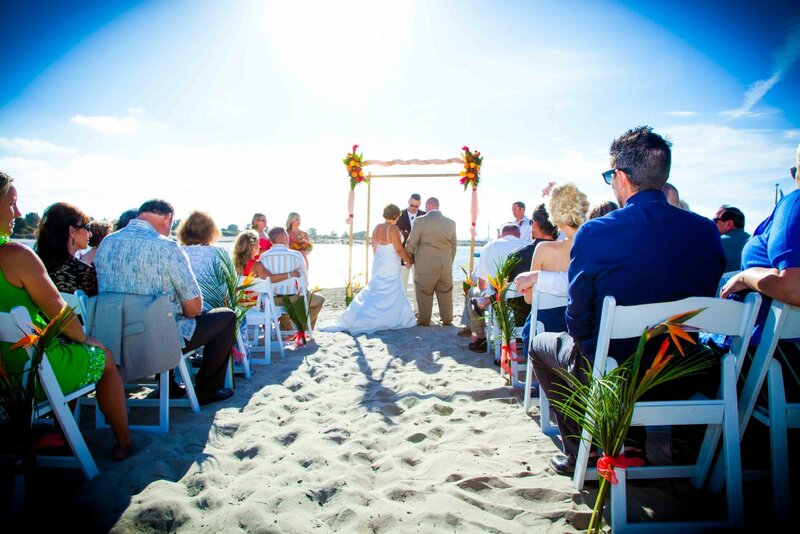 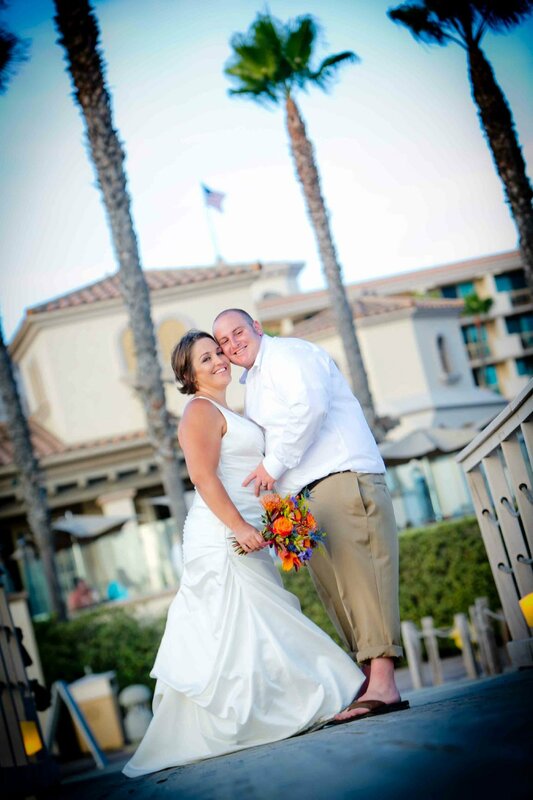 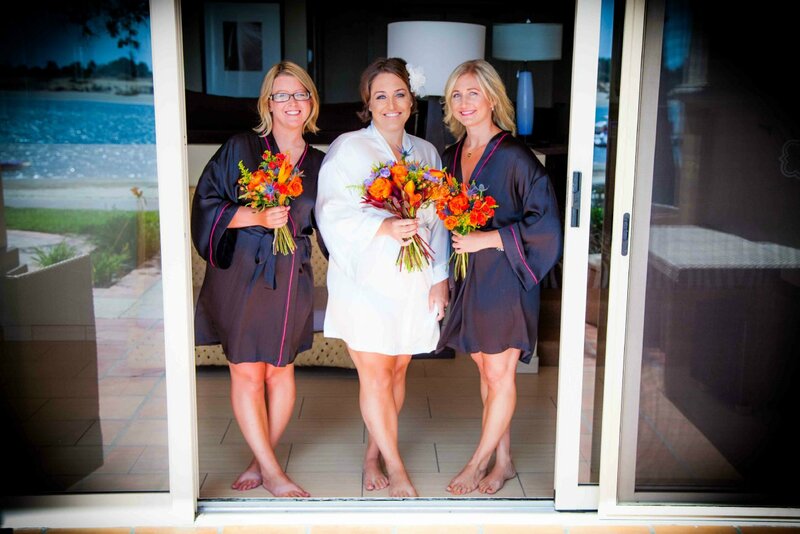 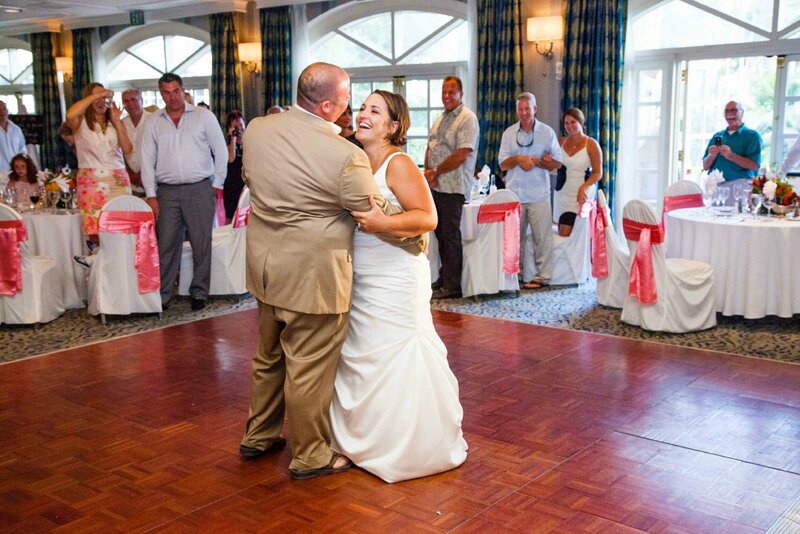 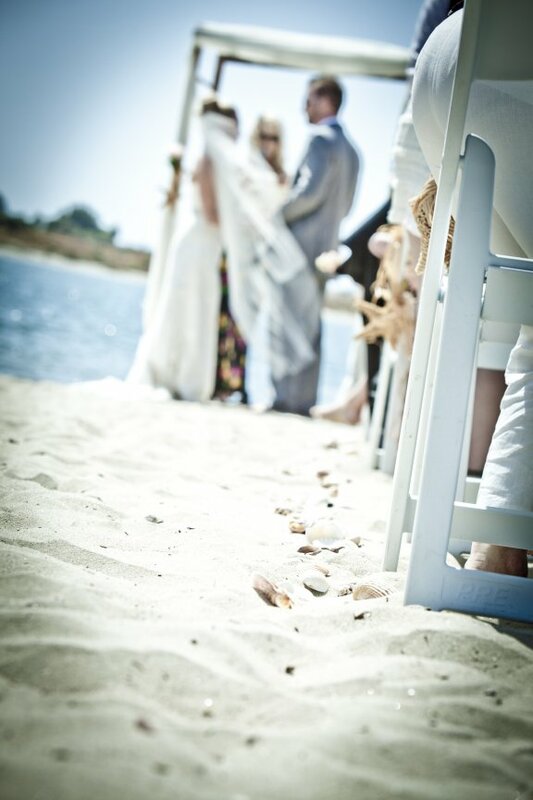 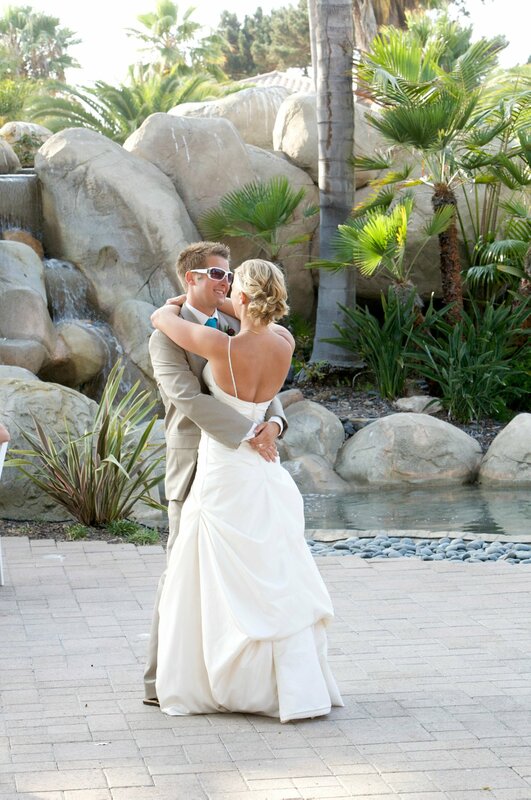 Guests are often barefoot at these ceremonies, giving them the full effect with some sand in between their toes. 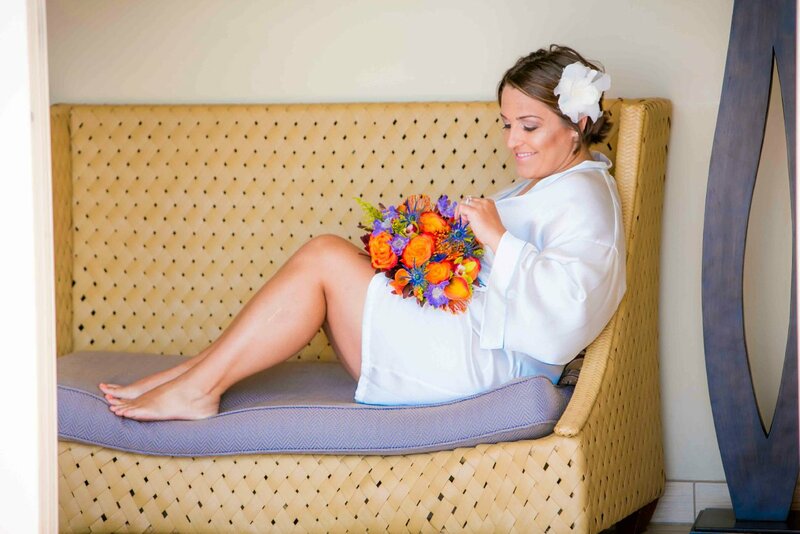 The other spot that I have photographed a wedding is the patio area which is surrounded by tropical folliage, unique rock features and a waterfall. 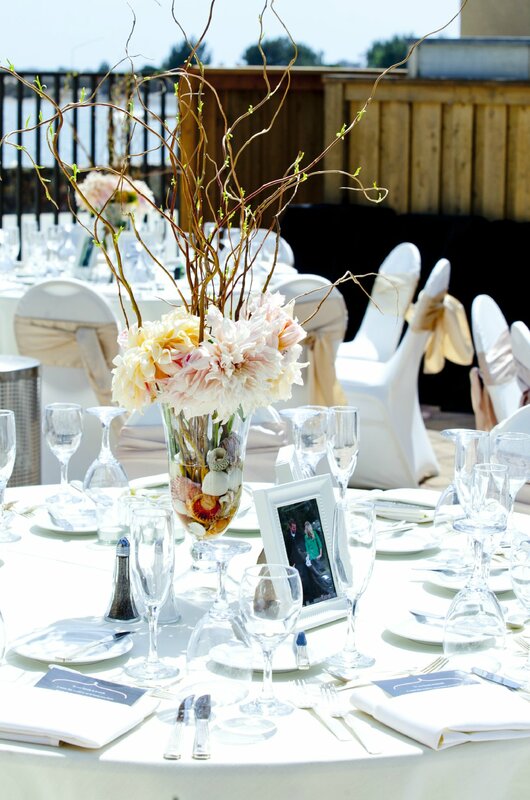 Something great about this location is it transitions seamlessly into the reception space, making it a great option for keeping everything in one location. 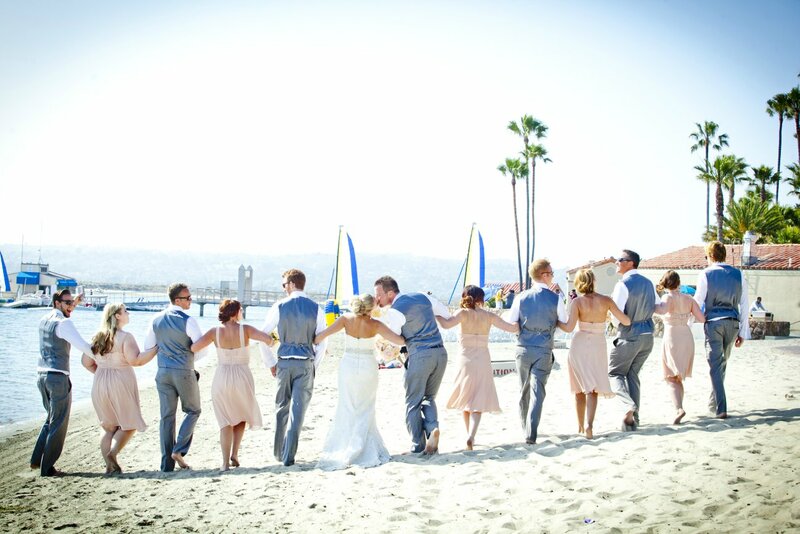 Post-ceremony is a great time to capture the excitement of the couples and their bridal party. 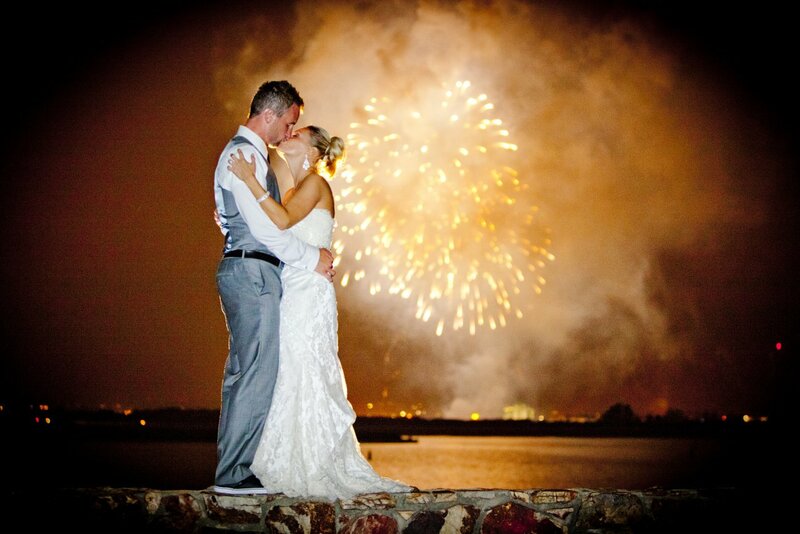 Being right on Mission Bay there are lots of great places to capture these special moments. 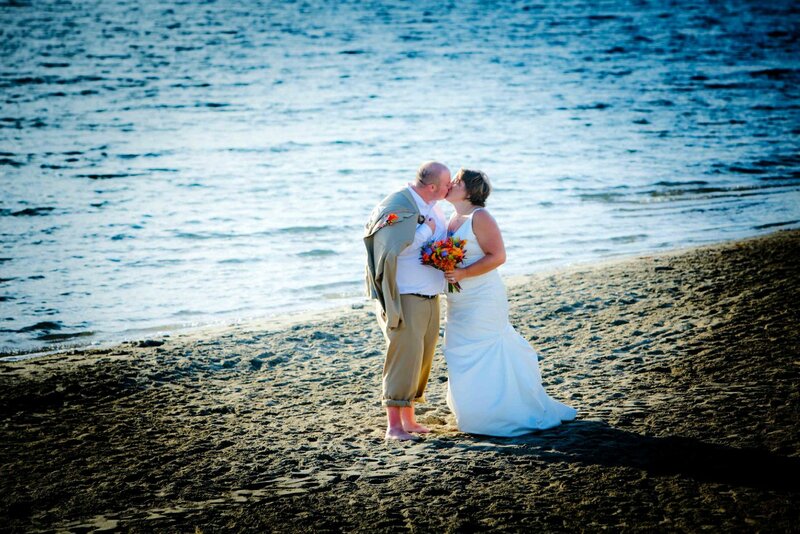 Shots of the couple biking next to the beach are always a ton of fun and come out really great :) A trip along the beach is always a must for these photos. 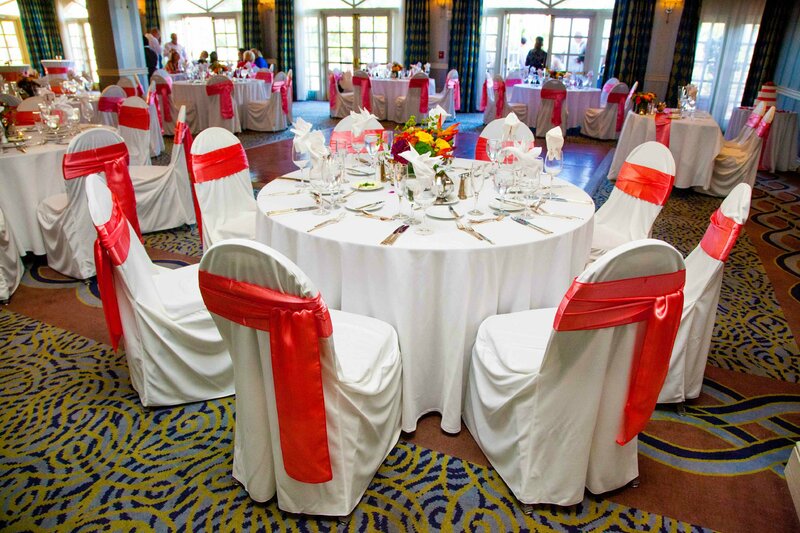 The Hilton offers many different reception spaces for varying amounts of guests. 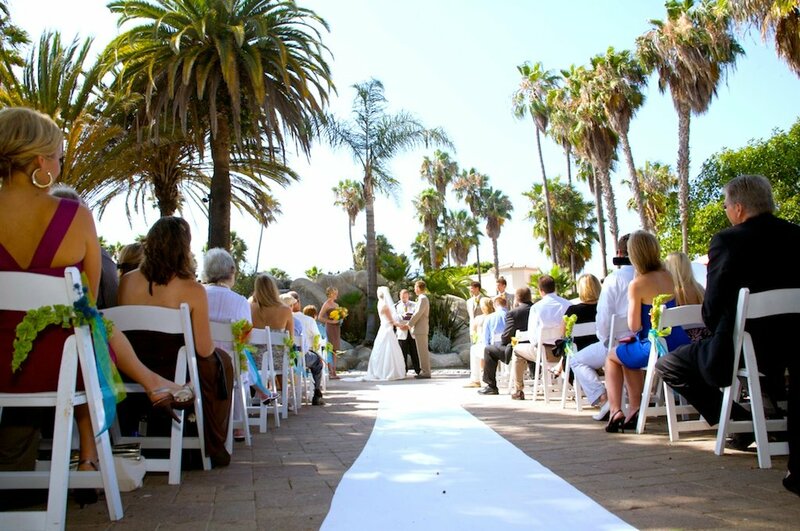 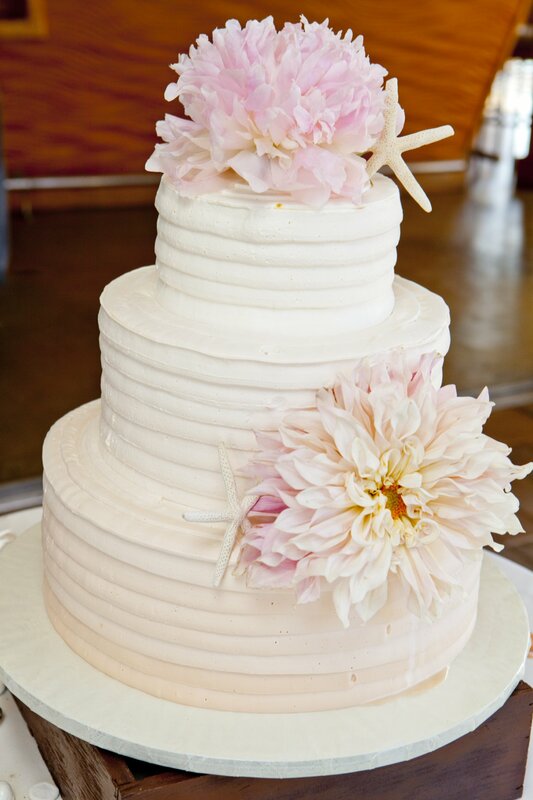 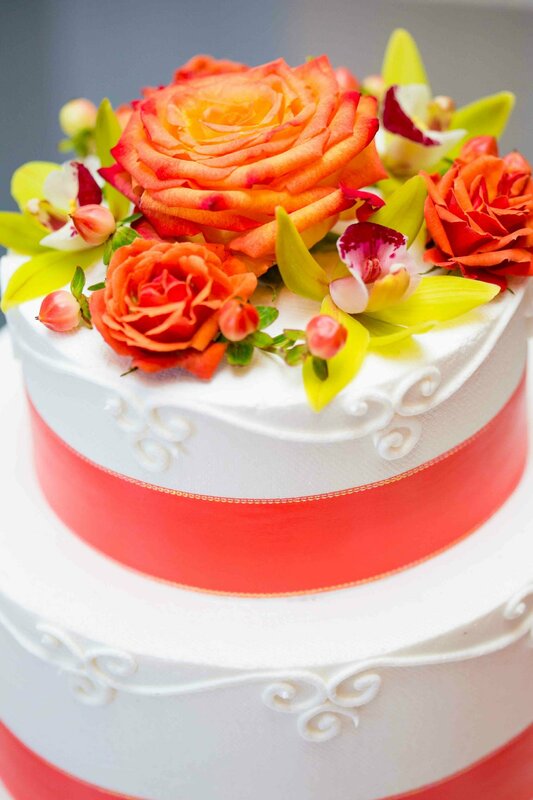 You can have the reception outdoors overlooking Mission Bay or indoors at one of their halls. 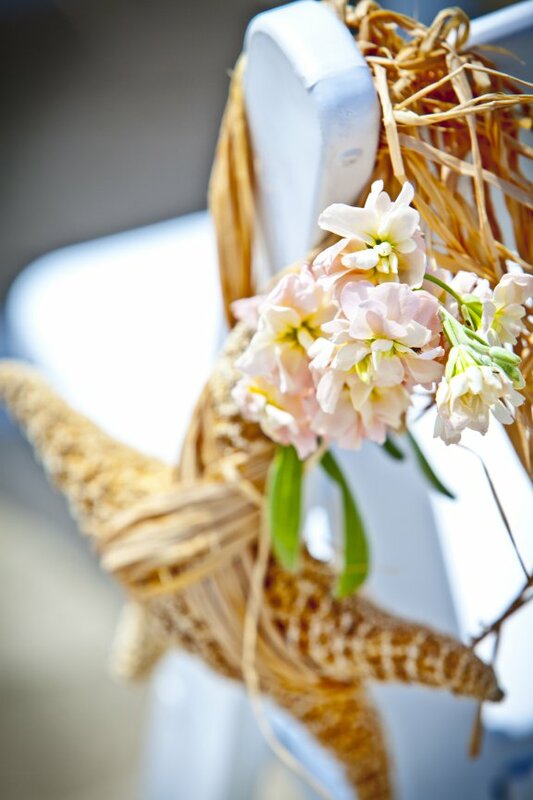 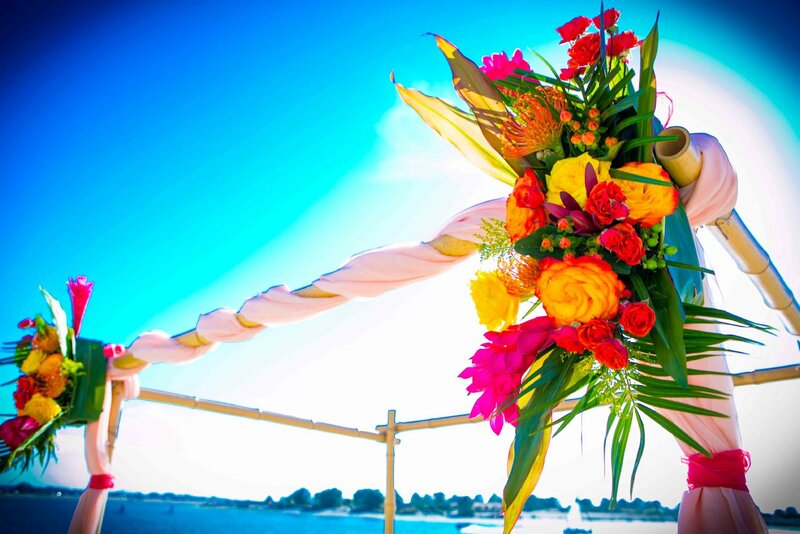 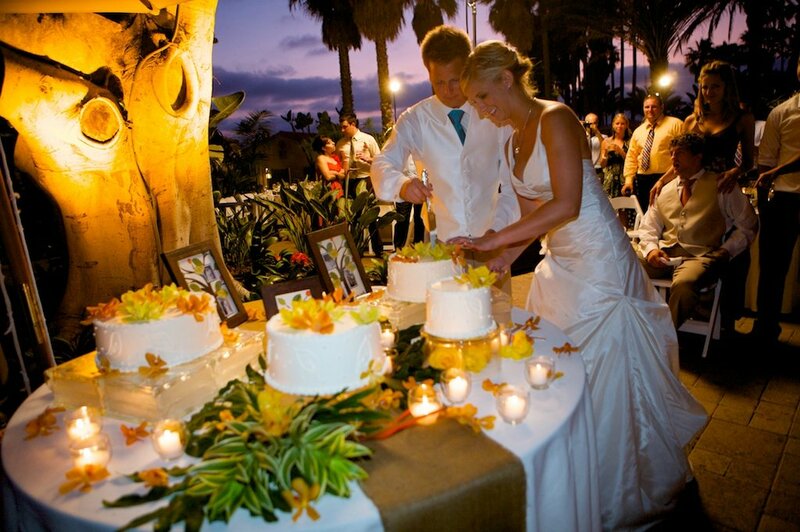 Either way, couples always succeed in carrying the tropical, beach feel throughout the reception with their decor choices. 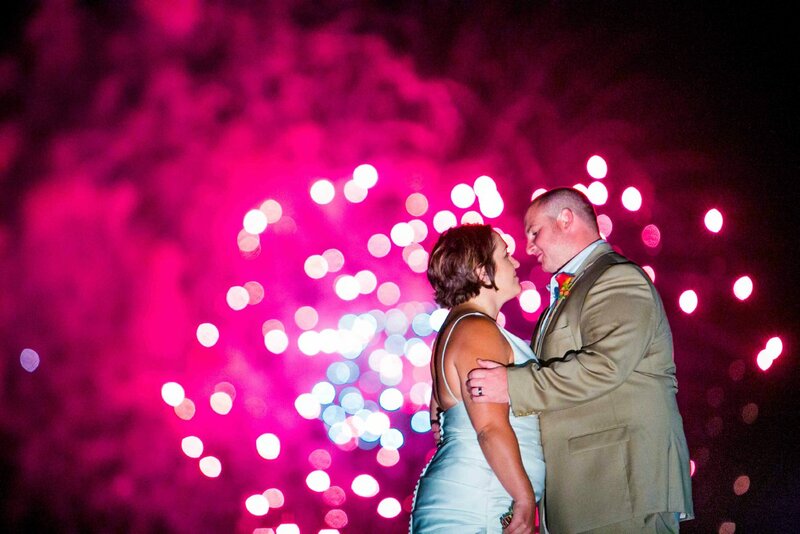 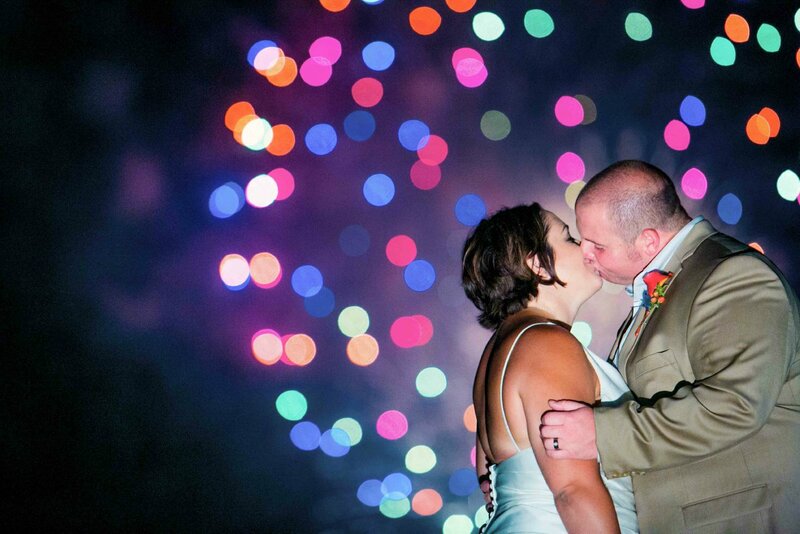 Another great perk about this venue is that it's right by the Seaworld Fireworks, allowing us to capture some amazing night shots of the newlyweds under a sky lit up by vibrant fireworks!